Located on the western coast of Sicily, Camping El Bahira is the ideal choice for nature lovers in search of a different camping holiday. Come here to experience luxury camping in one of the finest locations in the Mediterranean and get back to nature while enjoying a comfortable stay, with all the services needed to feel at home away from home. 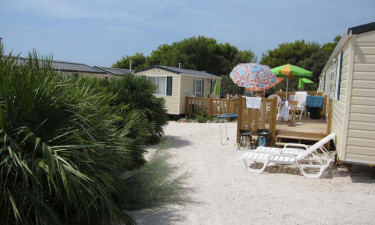 For more information or to reserve your space at this luxury camping site, contact the experts at Lux-Camp. Why should I camp at Camping El Bahira? Easy access to the dramatic coastal landscapes of western Sicily. 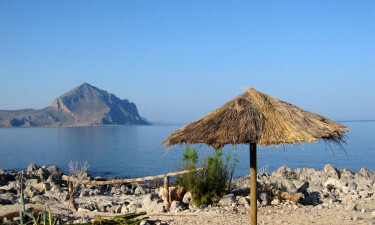 This luxury campsite is located near natural reserves, famous archaeological sites and the calm waters of San Vito Bay. Clean, safe and well-kept grounds and facilities. A variety of comfortable and stylish accommodation choices where you can experience what luxury camping is about, whether you stay in an exclusive apartment or a mobile home. An exciting calendar of events, featuring live music, gastronomic events and family-friendly hikes. Guests have access to 2 outdoor salt water swimming pools and to a private beach with views over the rugged Sicilian coastline. You can also keep active at the campsite's volleyball, tennis and football courts, or visit the diving centre where you can rent equipment or take lessons and go on a journey of discovery, exploring the gems of the underwater world. An on-site mini-market is equipped with all you may need for a self-catering holiday. If you prefer to eat out, Camping El Bahira offer a bar where you can grab some light snacks, and a restaurant and traditional trattoria serving Italian and international dishes.